The flaw, which was first reported at the Black Hat USA conference in early August, could enable an attacker to take over an Android device. At the Black Hat USA security conference on Aug. 6, security researchers from Check Point publicly announced a new Android flaw dubbed "Certifi-gate." Now, nearly three weeks later, Check Point has published statistics on the impact of the flaw that could potentially enable an attacker to take over an Android device. The Certifi-gate flaw is all about privileged certificates used by OEM vendors to sign remote support tool (mRST) apps. The risk is that an attacker could potentially make use of the OEM vendor certificates to gain privileged access on an Android device. When the Certifi-gate flaw was first announced, Check Point also released a mobile scanning tool that enables users to scan Android devices to see if they are vulnerable to the Certifi-gate issue. According to Check Point, from Aug. 6 until Aug. 19, there were approximately 100,000 downloads of the Certifi-gate scanner app. Approximately 30,000 people who downloaded the app opted to send their information anonymously to Check Point. Check Point has identified three tiers of risks associated with the Certifi-gate issue. The lowest tier is if the device itself is vulnerable to the Certifi-gate flaw: 42.09 percent of devices were found to be vulnerable. The second tier is if a vulnerable mRST plug-in is actually installed: 15.84 percent of scanned devices were at risk. The third tier is if a device is at risk, a vulnerable mRST plug-in is installed and there is a third-party application that is exploiting the flaw to gain elevated access to the device and its sensitive resources. Check Point found that only 0.01 percent of devices scanned were identified as being at the highest level of risk. Avi Bashan, technology leader, Mobile Threat Detection, at Check Point, explained that the level of risk depends on layers of vulnerability. "So there are three devices that actually hit all of the possibilities, up to and including being an affected vendor, having a vulnerable plug-in installed [and] having an app installed that exploits the vulnerability," Bashan told eWEEK. "The others have a lesser level of risk because they've hit fewer of the criteria to be fully exploited." The three exploited devices all were impacted by way of the Recordable Activator app, which has now been removed from the Google Play store. "Every download identified that was installed on a non-rooted device was using the Certifi-gate vulnerability to gain privileges to record the screen," Bashan said. 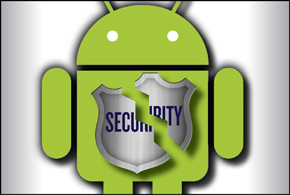 While the Certifi-gate issue has now been publicly known for several weeks, Bashan emphasized that the flaw requires more than just a software fix at the Android level. "Google needs to change its authentication policies, which is part code, but also a big part process and education with the developer and OEM community," Bashan said. "In other words, Google cannot just fix the issue as the device manufacturers have used their own certificate to sign the vulnerable apps." Bashan added that as of today, there have not been any updates from the device manufacturers for Certifi-gate. He also noted that even with vendor updates, the Certifi-gate issue is not going away soon because older vulnerable versions of the plug-in can always be installed, as they are signed with the OEM certificate, which cannot be revoked. "The OEMs need to fix the issue, as they need to revoke their own certificate and update the devices with completely new software—and forcing updates has been very difficult for manufacturers to date," Bashan said.